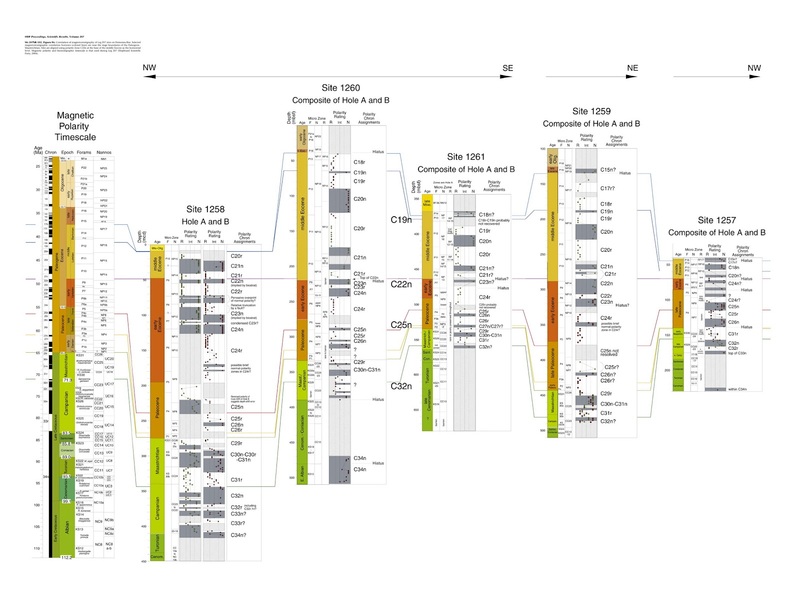 Event stratigraphy involves identifying the sedimentary effects of an unusual event in multiple stratigraphic columns. 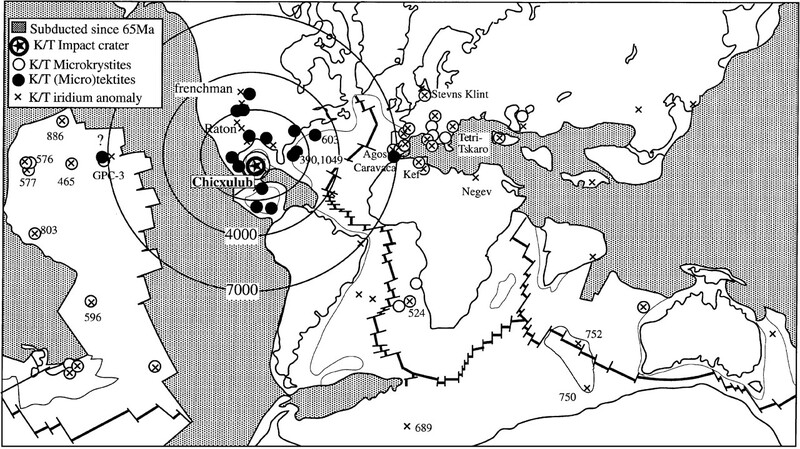 If one can demonstrate the the effects were all produced by the same even, one can reasonably interpret the effects to have happened at the same time in the different columns. 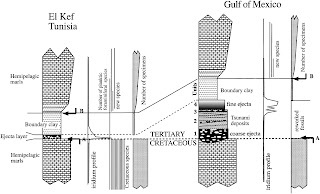 For example, if a volcano erupts and deposits ash over a broad region, that ash is preserved in the stratigraphy, and a geologist can demonstrate that the ash in multiple sections came from the same eruption, then the geologist can create a chronostratigraphic correlation among the sections. 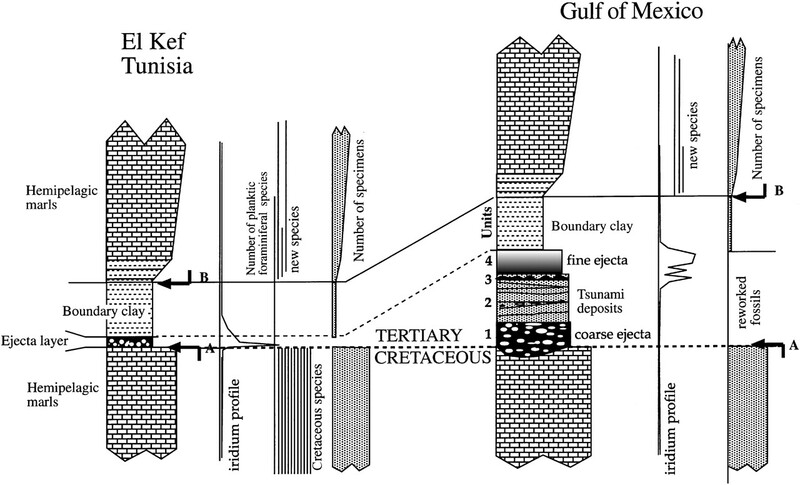 Other events that are useful for event stratigraphy can include impact debris layers (for example at the Cretaceous-Tertiary boundary), tsunami deposits, and sometimes large storms. 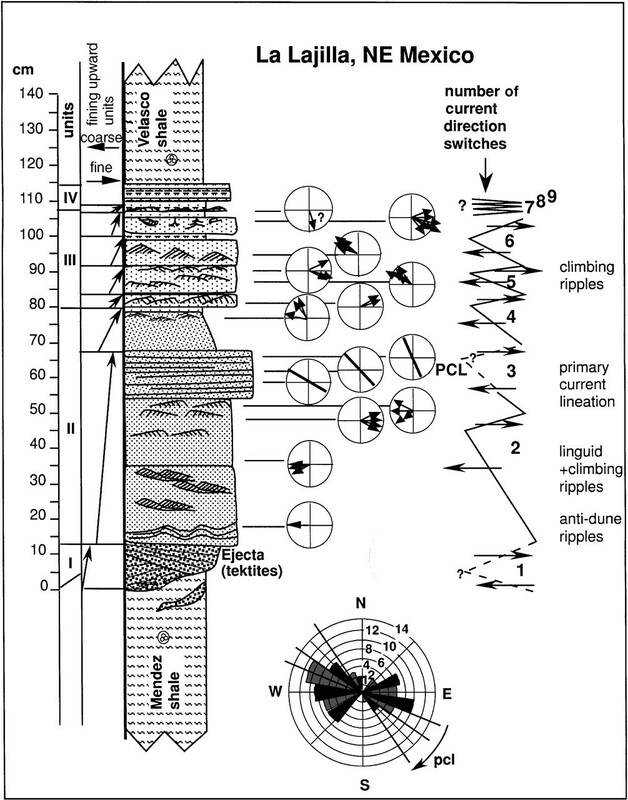 Magnetostratigraphy uses preserved magnetization of rocks for correlation. The magnetization comes from the alignment of magnetic minerals in sedimentary rocks (and other types of rocks) with the earth’s magnetic field. Small magnetic minerals, especially clay-sized minerals, align like little magnets, and when the sediment is lithified, that magnetization can be preserved. Under the right conditions, samples can be collected and the direction of magnetization measured. Data can be used to reconstruct the direction of the earth’s magnetic field. This magnetic field can reverse directions due to the dynamics of circulation in the core. In other words, sometimes the magnetic field is aligned such that magnets point north (as they do now, and called “normal” in the scientific literature) and sometimes it is aligned such that magnets point south (called “reversed”). The earth’s magnetic field changes at close to the same time globally, so the effects are seen everywhere. Paleomagnetists have studied well dated sedimentary and volcanic rocks and have mapped out the times in earth history where the magnetic field was normal and reversed (see: http://www.geosociety.org/science/timescale/). 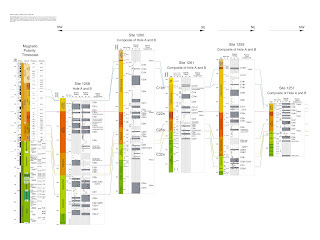 This provides a reference that can help correlate other stratigraphic sections. were abundant. They also need to be well studied.